Communications professional with 20+ years experience working with Apple, Visa, Yahoo! and PayPal. Formerly tour publicist for Johnny Cash. Having worked on both sides, I've never understood the perceived wall between internal and external communicators. 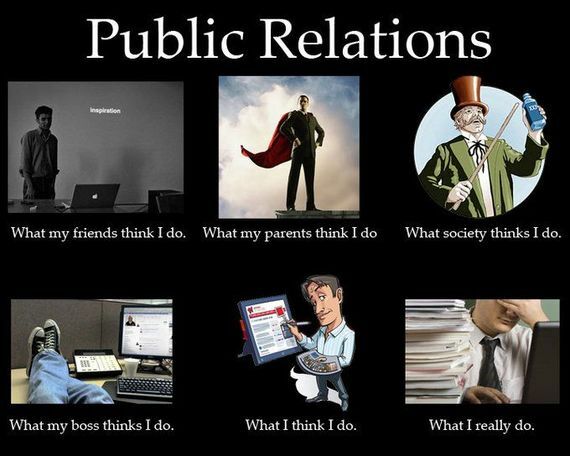 It's all communications at the end of the day, just different audiences, right? While the larger part of my career has been in PR and corporate communications, for the past few years I've specialized in employee communications. One common experience at a couple of different jobs is when I've asked a colleague from the external side to help manage my function and team for a week while I'm on vacation. The request is often accompanied by a look of shock followed by excuses of why they can't do it. I don't get it. But truth be told I was probably like that a few years ago before I truly appreciated the power of effective employee communications. I was talking about this "wall" with an accomplished external practitioner and friend recently. He said part of the reason he's not interested in practicing internal communications is that he wouldn't know how to measure it. In his role, he gets satisfied when a great article comes out about his company's new product, or his team turns the opinion of a tough blogger to be more favorable. What could possibly be the equivalent of that in the internal world? I was tempted to talk about how effective employee communication can increase employee job satisfaction, morale, productivity and commitment; and enhance quality and a company's bottom-line. On measurement, there's the annual engagement survey; there's regular pulse surveys. And surely he knows that successful communication of business initiatives moves employees from awareness of a strategy to accepting or agreeing with its premise and then taking action to support it? What could be more noble than that? However, for whatever reason I didn't think that kind of dialog would have made him more curious to dabble in employee communications or give his internal counterparts more respect. Instead, I decided to give him a real life example of something I found measurable, repeatable and satisfying in my experience doing internal communications. I showed him an episode of PayPal in 90 Seconds, a weekly video that my former team (special kudos to Mark Kraynak) created at PayPal in 2012 and is still going strong today many awards and accolades later. It was born from a brainstorm Mark and I had about how the culture of PayPal was changing so rapidly and what we needed to do to help employees along on the journey. The company was growing at a massive clip, particularly internationally, yet most of the communication at that time felt very US centric. PayPal had recently introduced a new vision but not every employee necessarily understood how their work contributed towards making that vision a reality. There was new leadership but people outside of the head office didn't necessarily know their names or faces yet. A week later Mark came back to me with a pilot of PayPal in 90 Seconds. It captured the evolving culture of the company in a way no other channel before had. It featured interviews with employees captured via Skype or FaceTime from all over the world talking about their work, PayPal's impact on their community and what they found exciting about their job. It introduced new faces. It showed employees the headlines of how the company's products were being received by media and analysts. It featured real customers talking not just about the great things about PayPal, but their pain points as well. All that, and somehow it clocked in at less than 90 seconds. We decided to test the pilot with employees the next day. We sent out an email to all employees asking them to check it out and let us know what they thought. It linked to a YouTube-like page with the first episode. Next to the video was a counter showing how many people had viewed the broadcast and a space to leave comments. We checked back a few hours later and the counter had gone from a few hundred to several thousand views. That night there were even more views as Asia woke up and checked it out. And even more with Europe the next morning. The comments were very positive. It shined the spotlight on regular employees from all over the globe and helped them get recognized or make connections. It was their platform. In the weeks to come, employees started pitching us on stories they wanted us to cover. It became like getting a spot on the cover of the New York Times. No one was fighting for our team to issue company-wide memos anymore. If it wasn't covered on PayPal in 90 Seconds it wasn't news. This is one small personal example of the many ways internal communicators make a measurable impact. At the other extreme, strategic internal communications efforts around safety in a setting such as a meat processing factory have proven to save lives. I don't consider myself either an internal or external communicator. Why should I have to choose? I have a passion for both and believe communicators with experience in both disciplines can offer better and more well rounded counsel to their business clients. I am just surprised they are still considered such separate disciplines. External communicators, would you ever consider switching to employee communications? Why or why not? 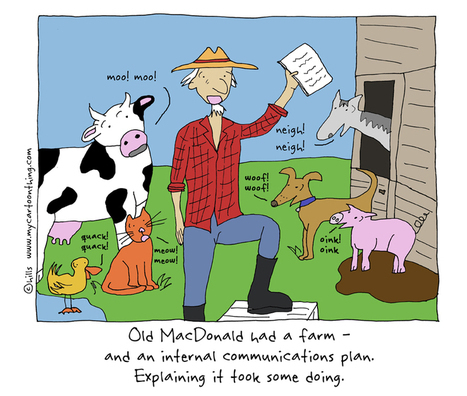 Internal communicators - what would you say to external communicators on the fence about switching to the other side? If you enjoyed this, please read How Johnny Cash Kickstarted My PR Career.